Our dental office specializes in beautiful, healthy smiles. Our team of dental professionals offers a complete range of dental services that include routine dental care, white fillings, inlays and onlays, porcelain fillings, Lumineers, periodontal treatments, and dental implants. As your PPO insurance dentist in West Hollywood, Dr. Ghasri is dedicated to ensuring you oral health is properly maintained and your smile restored to its natural beauty. Your oral health and your overall health are intimately connected. That is why our West Hollywood PPO insurance dentist, Dr. Ghasri, focuses on comprehensive oral exams and careful cleanings. Every exam includes a check for signs of periodontal disease, and we perform regular oral cancer screenings. We will recommend treatment options as needed and help you determine which may be best for your situation. If you have tooth decay, you can opt for white or tooth-colored fillings, which are more aesthetically pleasing and require less tooth structure to be removed than traditional metal fillings. As our PPO insurance provider in West Hollywood, our dentist, Dr. Ghasri, also provides restorative dentistry services that include full mouth reconstruction. In some cases, we may be able to provide you with a bright, beautiful new smile with inlays, onlays, or porcelain fillings. However, we can also use cutting-edge technology to provide you with the smile of your dreams using dental veneers or Lumineers, orthodontics, or teeth whitening procedures for a full smile makeover. If you have lost any teeth, we can suggest appropriate replacement options that may include bridges, dentures, or dental implants. While the aesthetics of your smile are important to us, your periodontal health is even more important. We will check for signs of gum disease at every visit. If Dr. Ghasri, who is our West Hollywood PPO insurance provider, notes any signs of periodontal, or gum, disease, we will outline a treatment regimen that may include steps designed to reverse or halt progression of the disease and ultimately restore your oral health. 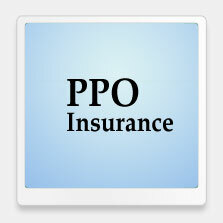 We offer a variety of payment options and accept most insurance plans. 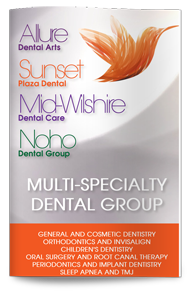 Contact our West Hollywood dentist today to schedule your next consultation or to learn more about your options.